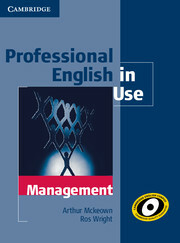 A part of the hugely popular Professional English in Use series, this book offers management vocabulary reference and practice for learners of intermediate level and above (B1-C1). Key MBA topics, including Leadership, Change Management and Finance are presented through real business case studies. The course is informed by the Cambridge International Corpus to ensure that the language taught is up-to-date and frequently used. 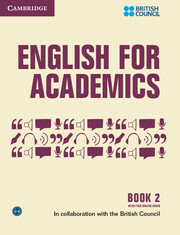 Primarily designed as a self-study, the book can also be used for classroom work and one-to-one lessons. This book is a must for both students of MBA or other Business programmes and professionals who need management English. Covers all the key management vocabulary learners will need on an MBA course and to become successful managers. Uses real business case studies to present the new vocabulary. 'Over to you' sections allow learners to apply the vocaulary they have learned in the unit to their own working situation. Informed by the Cambridge Business English Corpus, ensuring the language taught is frequent and up-to-date.